We finally have made a color palette choice for our bedroom! I am SOOO excited! For whatever reason, the bedroom has been the last place we've started really decorating--in fact, we're still waiting on a bed frame (it's on its way in the mail!) We've been toughing it out on just a mattress on the floor for over a year, and we're ready to spruce it up! So I've taken on the challenge to create multiple, wall accents for our bedroom in the coming months! So you'll all be seeing more gold & blue tones up in here! This is a photo I snapped real quick with my iPhone to give you an idea of our wall in the early stages. 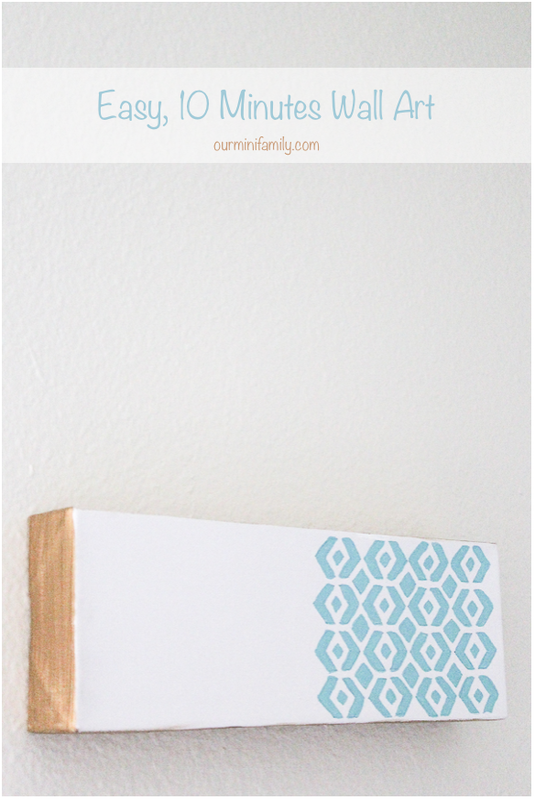 -grab a stencil of a pattern you love! Super cute! I am in love! All these gold accents going around are awesome! I love the gold edge, lovely simple idea to make it just a little different. I'm pinning so I don't forget! YES! I love that you have that appreciation for it--that's all I was thinking when I did it! YAY! Stopping in on behalf of the Silly Sara Blog to say thank you for linking up with us over at Tell it to Me Tuesday! I love this idea and the fact that its so easy to do. I'm not crafty at all but this post and a trip to my nearest Michaels will help me create a piece that I'll be proud to place on my wall! Thanks so much for sharing! Caitlyn, I love that! You totally should just go for it--there's nothing to lose! Oh its so PRETTY! Loving the color scheme. I cant wait to see how it turns out. I found your post in the Pin Me Linky party. I'm following you on all your social media, leaving an open invite to follow back! 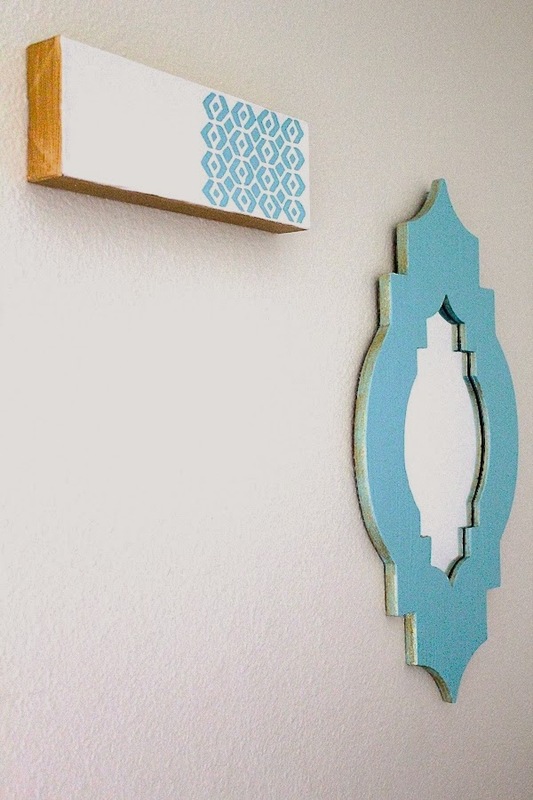 Beautiful sunburst wall art--nicely done indeed! I'm pinning this for sure! This is super cute. Thank you for sharing with us.